I had a chance to try out the Zylight F8-200 LED Fresnel last year and found it to be a well-built and high output LED fresnel that is capable of taking some real physical abuse in the field. 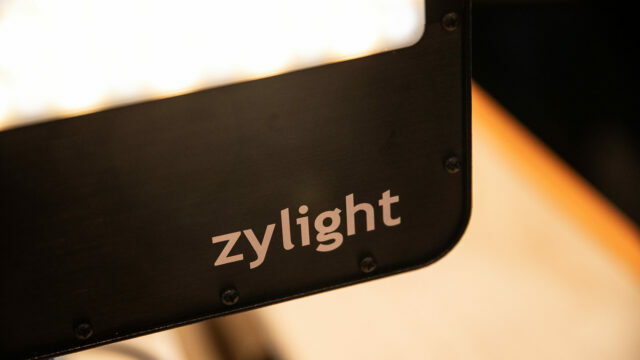 The new Bi-Color Go-Panel has a similar form factor and aluminum IP65-rated housing to the Zylight F8-200 but introduces a few new features including +/- green and magenta, USB port for firmware updates and dmx control. Beyond DMX you’ll be able to interface with the light through ZyLink, Bluetooth, and LumenRadio as well. Given that the Go-Panel is still a prototype we will need additional spec information, but we’ll run an update as that becomes available. The banner feature here is “Active Diffusion.” The technology works like this — simply select the correct mode through the back panel and turn a knob as the light starts hard and becomes softer and back again with a turn of the knob. 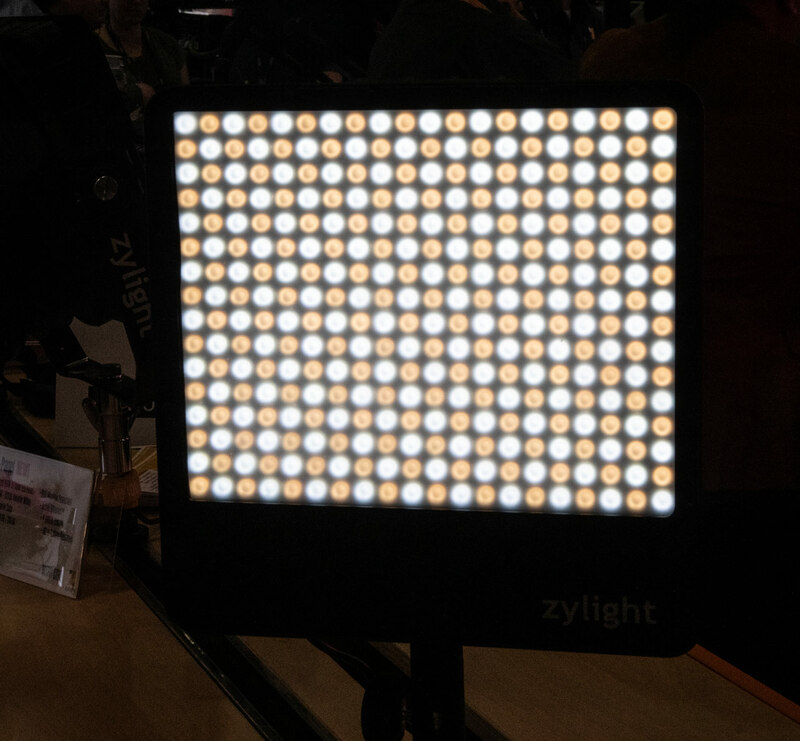 Co-Founder of Zylight, Charlie Collias, explains that while diffusion is added using liquid crystal technology the light dynamically handles the color shift that comes normally with adding diffusion to keep the color temp as close to the intent as possible. According to the company, Active Diffusion works because of a liquid crystal display placed directly in front of the LED diodes. 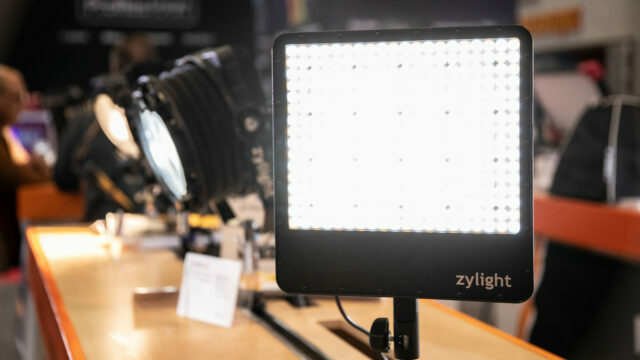 While tricky to catch on camera, we did visually see the light become softer in the demo environment on the floor of NAB. Given the size of the Go-Panel it is easy to see users being drawn to the lower setup time and Active Diffusion might mean one less softbox needing to be packed away for travel. It will be interesting to see how this technology develops and how it handles in the field once the light starts shipping. Love it. Want it. 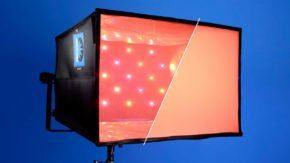 Sick of the lite panels fidgety soft box. That you would write that a panel and a fresnel have a similar “form factor” tells me there is no one editing your work to correct things that are demonstrably untrue. Hello Ballard, thank you for your comment. They are both similar in size to a 1×1 panel light and both have a similar exterior sturdy build. 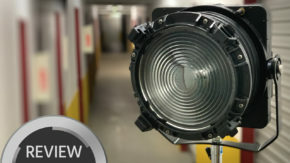 The Go-Panel lacks the extending lens that the Zylight F8 200 fresnel has, but they both have a similar form factor as I mentioned in the article. The internals are obviously different.